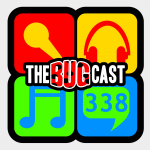 This week on The Bugcast: kids home alone, tragic events in sport, Black Friday, plus we play 8 great tracks of Creative Commons and independent music! The 4th Annual HPR New Year 26 Hour Show, starting at 10:00UTC on December 31st! Be a part of it! The next live show will be episode 339, which will be broadcast live in the chatroom on Friday 5 December 2014 at 21:30 UK time (GMT/UTC).